For years, flat sales, skyrocketing celebrity advances, and the growth of discount chains have squeezed the book industry’s profit margin to the point where many editors are reluctant to publish anything short of a megaseller. So while Stephen King does just fine, authors with less mass-market appeal have a hard time seeing print. But writers and readers are about to receive a rare bit of good news. The Xerox Corporation has developed a new technology that’s making it possible – and profitable – to print single copies of paperback books in a matter of minutes. One day soon, you may walk into a bookstore, ask for a copy of John Barth’s long-forgotten first novel (the one about suicide on a riverboat), and wait while a gothic-looking clerk prints you one behind the counter. The new system will never diminish the appeal of a nice juicy celebrity memoir, but by lowering production costs and eliminating storage costs, it could even out the business’s currently lopsided economics. Several publishers are already trying to make the most of the opportunity. Simon & Schuster, one of the few major publishers that still print their own books, has purchased six of the machines and is experimenting with them. “I don’t think it will have an impact on the sales of books in the general market,” says Jack Romanos, the company’s president, “but it’s pretty exciting that it does give us the ability to keep more books in print.” And two large distributors – Ingram Book Company in La Vergne, Tennessee, and Baker & Taylor in North Carolina – have established new printing services to provide out-of-print books on demand. Ingram, which is currently negotiating printing rights with about 25 New York publishers, including McGraw-Hill, Random House, and Perseus Books, has already begun filling orders from Barnes & Noble and Amazon.com. But Larry Brewster, Ingram’s vice-president, has been reluctant to trumpet the development before it’s fully under way. “We want to make sure we can execute in high volume before we take this on the market in full force,” he says. Because who knows? Barth’s Floating Opera could be the next Giles Goat-Boy, and everyone would want one. How Hollywood Writers Are Finding Jobs After Firing Their Agents Can the WGA’s internet jobs board, a Twitter hashtag, and networking “mixers” provide the employment connections agents once did? 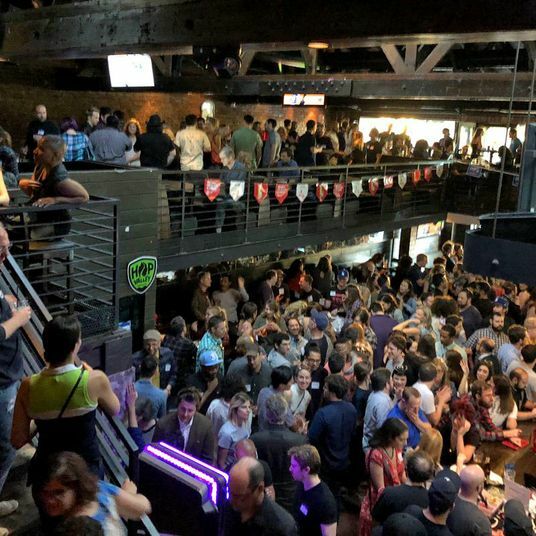 the cut on tuesdays 8:19 a.m.
What Counts as Selling Out? On this week’s podcast, a conversation and a story. isn't it romantic 8:00 a.m.
A Glamorous Wedding at the Frick Museum Which included a nighttime walk down Fifth Avenue. Medicare for All Should Hurt (Some) Hospitals and Doctors Achieving health-care justice in the U.S. will require taking on price-gouging hospitals and overpaid specialists. keeping up with the royals 7:00 a.m. So, Are Prince Harry and Prince William Fighting or What? Unpacking the latest reports. After Smearing of Obama, Democrats Should Know How to Defend Ilhan Omar For eight years, the right-wing lobbed false, anti-Muslim attacks at Obama. Did Democrats actually learn from it? in her shoes 6:00 a.m. The Dance Director Who Loves a Bright Suit Alvin Ailey Extension’s Lisa Johnson-Willingham is an emotional dresser. Highlights From CNN’s Town Halls With Five 2020 Candidates Democratic candidates Amy Klobuchar, Elizabeth Warren, Bernie Sanders, Kamala Harris, and Pete Buttigieg appeared at Monday night’s event. Beyoncé’s Lemonade Available to Stream Everywhere And Oh Wow, This ‘Sorry’ Demo The album’s scheduled release on all streaming platforms features a dreamy original version of the song. 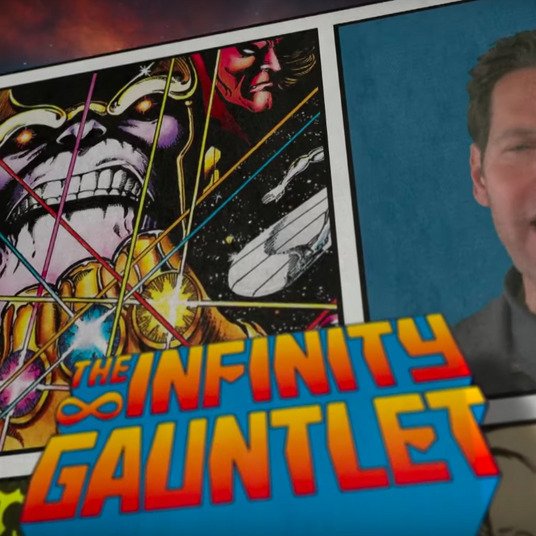 last night on late night 12:43 a.m.
Avengers: Endgame Cast Saves You 59 Hours, Recaps Franchise With Some Billy Joel Now you don’t have to watch Marvel movies until your knees seize up and your eyes dry out into little raisins. Unless you want to. overnights Yesterday at 11:00 p.m. 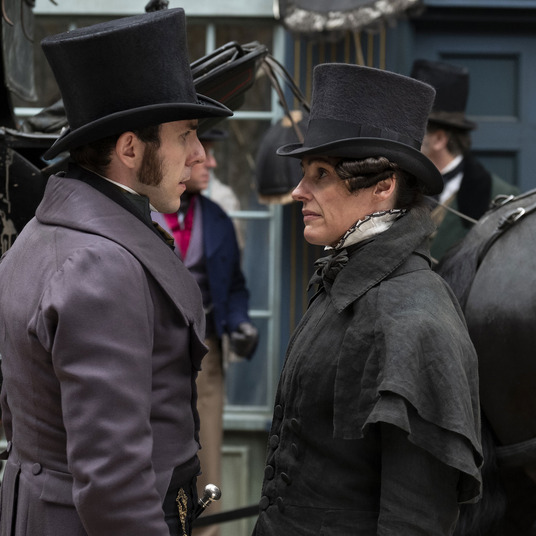 Gentleman Jack Premiere Recap: I’d Like to Meet Her Tailor HBO’s historical series introduces us to the world of Anne Lister, “the first modern lesbian,” with all the subtlety of a speeding carriage. vision 2020 Yesterday at 10:34 p.m.
Joe Biden Reportedly Delays Wednesday Campaign Announcement He’s “been running for president since 1987 and can’t figure the basics out, like where to stand on his first day?” said a former aide. 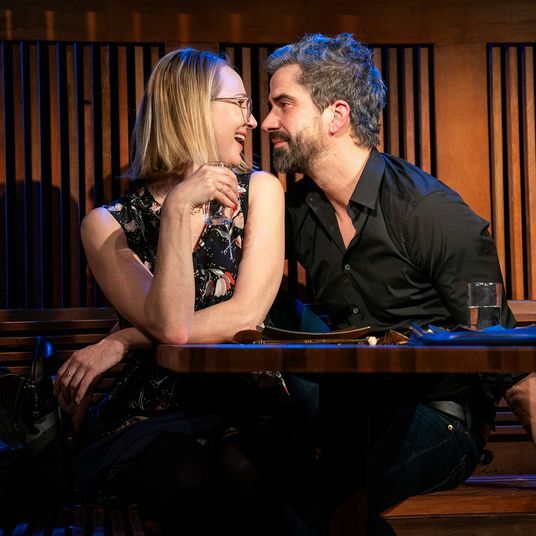 theater review Yesterday at 10:31 p.m.
Theater Review: An Affair Gone Toxic in The Pain of My Belligerence Halley Feiffer wrote and stars in a play about a bad date that, over the years, gets worse and worse. rom-coms Yesterday at 10:01 p.m.
Owen Wilson in Talks to Star As Luckiest Fan Alive in Jennifer Lopez’s Marry Me Wow! 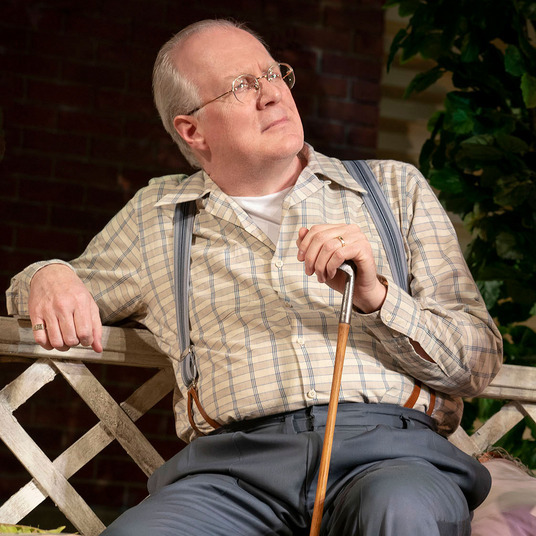 theater review Yesterday at 10:00 p.m.
Theater Review: All About the Men in All My Sons Annette Bening squeezes every bit of power out of a too-slight part. vanderpump rules Yesterday at 10:00 p.m.
Jax Has Some Pre-Wedding Drama With Brittany’s Family Plus, it’s time for Brittany to choose bridesmaids. 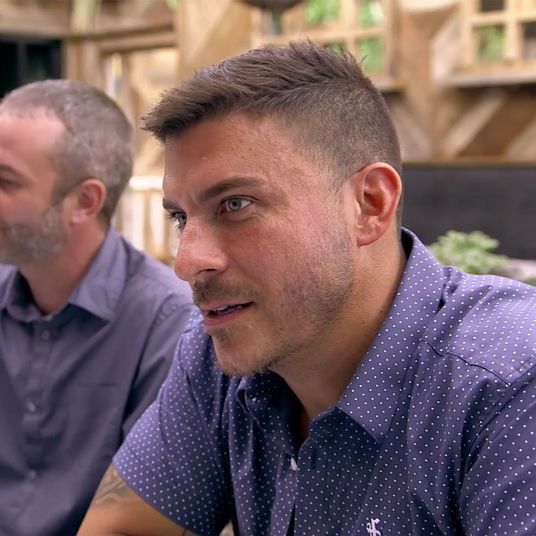 overnights Yesterday at 10:00 p.m.
Vanderpump Rules Recap: Say Yes to Distress Brittany and Jax’s engagement party consumes a same-y episode that falls back on repeating the same old conflicts. 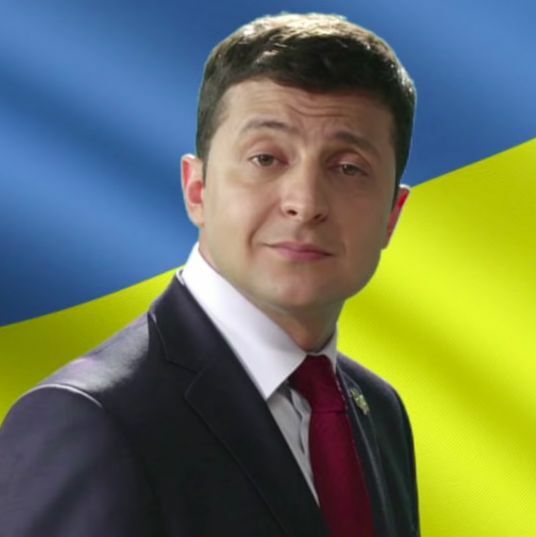 life imitating art Yesterday at 8:35 p.m.
Ukraine’s New President Is Comedian Best Known for Playing Ukrainian President Volodymyr Zelensky portrayed a schoolteacher elected to office after going viral in the political satire Servant of the People. vision 2020 Yesterday at 8:20 p.m.
Watch Amy Klobuchar’s ‘Please Clap’ Moment Drawing Jeb Bush comparisons isn’t a greatest move for a Democratic candidate who’s currently polling at 2 percent. border crisis Yesterday at 7:30 p.m.
FBI Arrests Far-Right Militia Leader Detaining Migrants at Gunpoint Larry Mitchell Hopkins was once arrested for impersonating an officer. His vigilante group, United Constitutional Patriots, appears to be at it again.